Horizon Office Equipment is a full service printer, copier, and all office equipment maintenance and repair provider servicing different companies all over New Jersey. We also sell all brand names of printers/copiers and we are Kyocera and Copystar authorized dealers. With over 25 years of experience and professionalism we have a faithful client base state wide. Our strong reputation as one of the best group of office equipment repair technicians is due to the fact that we are masters of our craft and we are available whenever our clients have an equipment malfunction. We are available 6 days a week and are only a phone call away. We service: Bergen, Passaic, Essex, Morris, Hudson, Union, Sussex, Somerset, and Middlesex County. We have also recently opened our first of many to come, Horizon Office Equipment & Copy Centers in Saddlebrook, NJ. Horizon’s technicians are all certified and have extensive years of experience. We offer maintenance and repair service plans at the most affordable rates. When you run a small business or a large office you must have professional technicians repairing and maintaining all of your equipment so there is no downtime due to malfunctioning office equipment. 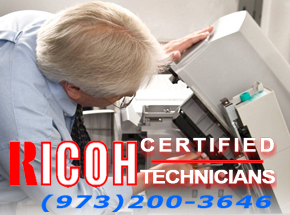 Annual maintenance has proven to increase the performance and life-span of all printers and copiers. We are very proud to announce that we have opened our first Horizon Office Equipment Sales and Copy Center at 525 Market Street in Saddle Brook, NJ 07663. Come print or copy any size document at a starting price of only $ .05 per copy. Also get 10% of any supplies when you order through us. Free and Fast Delivery of over $50 orders within 30 miles of our location. Horizon Office Equipment offers only the best printers and copiers on the market at the most affordable rates. We offer service plans for every printer we sell and we will make sure that all repairs are made immediately. We sell only the most reliable and top printers and copiers such as GBC, HP, Lanier, Panasonic, Ricoh, Samsung, Toshiba, Xerox, and many more.